There are big plans for the multitude of entrances and exits at the north end of the Iron Workers Memorial/Second Narrows Bridge. And let’s just say up front that it’s not going to be easy getting through all this construction, but in the end we think Lynn Valleyites will agree that it’s all been worth it. There is a decided chill whispering in the air these days. Fall has officially arrived in Lynn Valley and it’s time to think of putting the garden to bed for the winter. My mother’s Achilles heel was actually her most valuable asset. At least it was on the afternoon she entered the Lynn Valley Day walking race from 15th Street and Lonsdale Avenue to Lynn Valley Park on June 1, 1957, coming up 58 years ago now. With this year’s Lynn Valley Day scheduled for Saturday, May 30, this is the perfect opportunity to tell the tale of my mom’s victory using a rather unorthodox finishing kick. There is a lot of chatter about raw food diets for cats and dogs these days, but what does it all mean, and how does it benefit your pet? I will try and keep it simple in this post, explain why it is so beneficial, and give tips on how to feed your pets raw! John Gilmour is one of our Lynn Valley neighbours featured on the Lynn Valley Legacy website that is collecting names from readers – not just of notable neighbours who deserve the spotlight, but of potential names for the new Bosa development being built at Lynn Valley Centre. Visit the Legacy website before January 31 to participate – there is a $2,500 prize to be won! These profiles and photographs are being shared with LynnValleyLife readers with permission of the original author. John was the former President of the Lynn Valley Community Association. He currently sits on the board of Friends of the North Vancouver Museum and Archive Society and is an active community member. Bob McCormack is one of our Lynn Valley neighbours featured on the Lynn Valley Legacy website that is collecting names from readers – not just of notable neighbours who deserve the spotlight, but of potential names for the new Bosa development being built at Lynn Valley Centre. Visit the Legacy website before January 31 to participate – there is a $2,500 prize to be won! These profiles and photographs are being shared with LynnValleyLife readers with permission of the original author. Learn more about Bob in our earlier LynnValleyLife blog post about his many contributions to the community. Katie Andreychuk is one of our Lynn Valley neighbours featured on the Lynn Valley Legacy website that is collecting names from readers – not just of notable neighbours that deserve the spotlight, but of potential names for the new Bosa development being built at Lynn Valley Centre. Visit the Legacy website before January 31 to participate – there is a $2,500 prize to be won! These profiles and photographs are being shared with LynnValleyLife readers with permission of the original author. Katie is the CEO of Pie Sessions an independent YouTube channel that features interviews with bands, in exchange for one of her homemade pies. Around Lynn Valley, she managed a co-ed soccer team for two years, and has volunteered for the RCMP’s Summer Crime Prevention Program. I thought I would take a moment to bring you all up to date on the current condition of our school. As you know, the banks of Hastings and Fromme Creek could not withstand the tremendous amount of rain last night and resulted in flooding. I am certainly aware of the damage and devastation for some families in the area and I wish them all the best as they dry out. Hundreds of students from almost all the schools across North Vancouver had the opportunity to compete in the annual Swangard Track Meet yesterday despite the ongoing teachers’ strike. 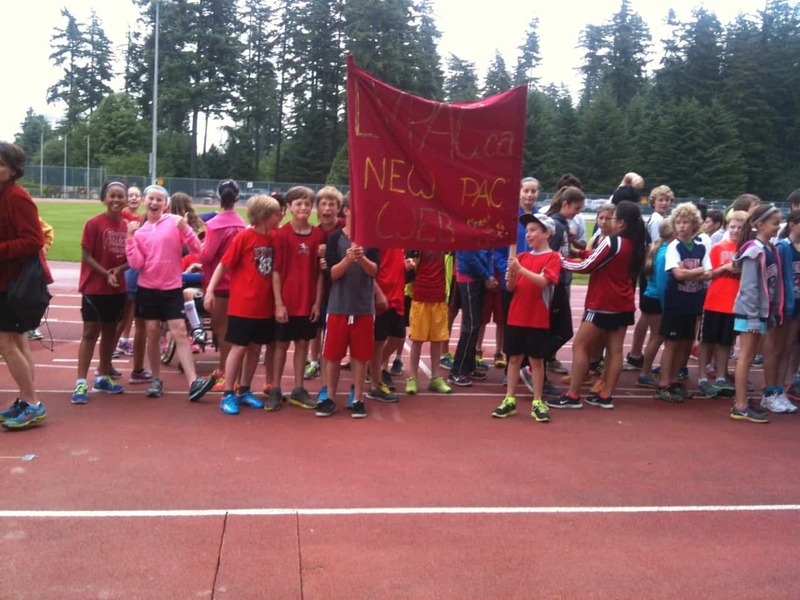 A collection of over 100 parent volunteers mobilized after hearing the track event would be cancelled due to the rotating strike, in order to ensure that the students had the chance to showcase their athleticism and put to use all the training provided by the teachers and supporters in the months leading up to the event. In partnership with A Rocha, a non-profit organization that engages in scientific research, environmental education and community-based conservation projects, St. Clement’s Anglican Church in Lynn Valley recently held a “Good Seed Sunday, ” involving a special service, stream clean-up and invasive plant pull. This article was submitted by parishioner Wilna Parry, with photos by Kathleen Biebrich. St. Clement’s parishioners were invited through liturgy, prayer and song to participate in Good Seed Sunday. During the Eucharist the children brought up plants and seeds to be blessed, and we sang about the glory of God’s creation as the children provided a joyful instrumental accompaniment. Each family was given a small plant by the children.